The Greater Kansas City Alumnae Chapter of Alpha Omicron Pi has a long history and is open to all members of Alpha Omicron Pi International Fraternity. Our members come from a wide geographical area, from Lawrence to Olathe to North Kansas City to Lee’s Summit to Topeka and were initiated at chapters all across the United States. In fact, our KCAOII leadership board is made up of sisters from seven different collegiate chapters! We have host social, philanthropy, and sisterhood events throughout the year. 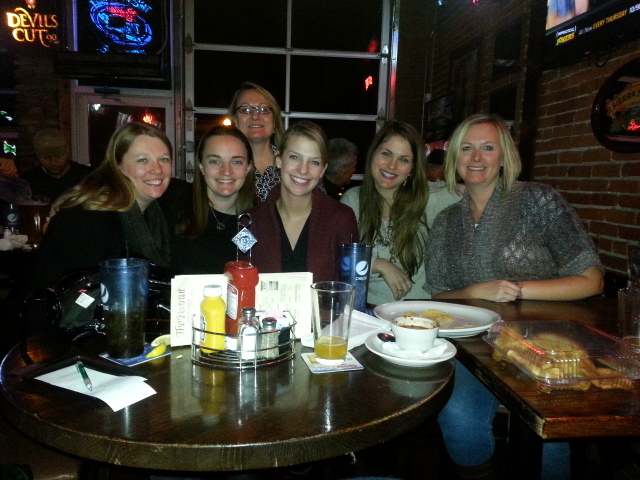 We also regularly participate in activities with the Greater Kansas City Alumnae Panhellenic and Arthritis Foundation. All AOIIs are welcome to attend as many events as they want! Annual dues are $45. A portion of this ($10) remains with the local chapter to help support operations, and the remainder is sent to International for dues, education and training efforts, and archival fees. Dues should be paid each year by February 1 to be counted in our annual totals. We can accept payment of dues by check or Paypal! Get details about paying dues here. We are always looking for new ideas, activities, and members! Contact us at hello@kcaoii.com if you have any questions. Also make sure to follow us on Twitter and Instagram, join our Facebook group and sign up to receive our monthly emails!